Over 50,000 food items collected! 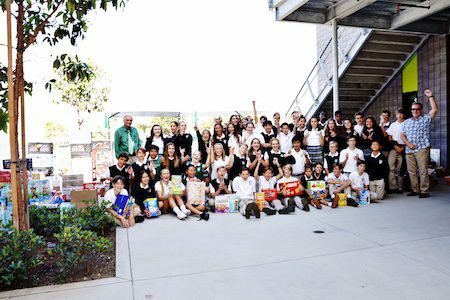 Carlsbad, CA –Today, the St. Patrick Catholic School Angel’s program completed their annual food drive. They far exceeded their goal of 20,000 food items bringing in 50,828 goods. The eighth grade class brought in the most food colleting 17,358 items. The food collected benefits two local organizations including, Got Your Back and Interfaith Community Services. Got Your Back gives backpacks with kid friendly food to kids who otherwise would only have a school lunch to eat. Interfaith Community Services gives out 30,000 pounds of food to the poor every day in North County.